Reuters : Third ODIÂ between England and Sri Lanka on Sunday washed out by rain. England lead the five-match series after a huge win ofÂ 10-wickets at Edgbaston on Friday. 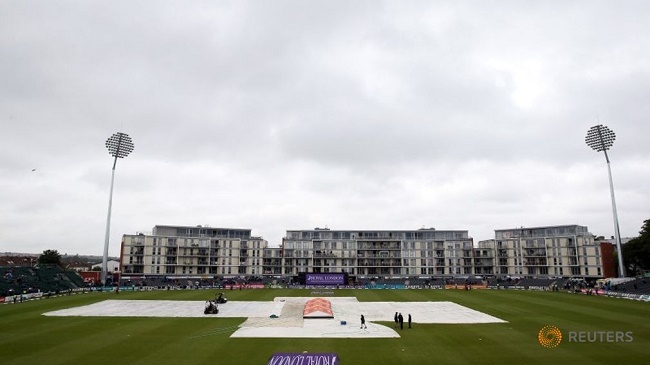 Rain had earlier delayed the start of England's reply. Kusal Mendis (53), Dinesh Chandimal (62) and Angelo Mathews (56) had made half centuries for the visitors with Liam Plunkett taking 3-46. Alex Hales, who had scored 133 not out in the second one-dayer in an England record opening partnership of 256 with Jason Roy, was caught off Suranga Lakmal for a golden duck on the third ball of the run chase. England can wrap up the series at The Oval on Wednesday.